LinkedIn isn’t just for individual professionals. This business-focused social network also has some great tools for companies. It’s an especially good idea for small-to-medium businesses to get established on LinkedIn so you can take advantage of some great built-in features and extra tools. LinkedIn really does put the “networking” in “social networking,” and that’s as true for businesses as it is for individuals. Setting up an active presence on LinkedIn gives you the power to connect with companies and people who could end up being vital partners, investors, suppliers and advocates. When you post articles, comment on articles, send messages and otherwise make connections in this digital space, you open up new possibilities for business relationships, all from the comfort of your office. One specific bonus of LinkedIn’s innate networking powers? The ability to find truly excellent candidates. Whether you’re simply headhunting or posting a listing for a specific job, LinkedIn gives you a self-selecting bunch of people to consider, people who understand the importance of business networking and take their professional selves seriously. 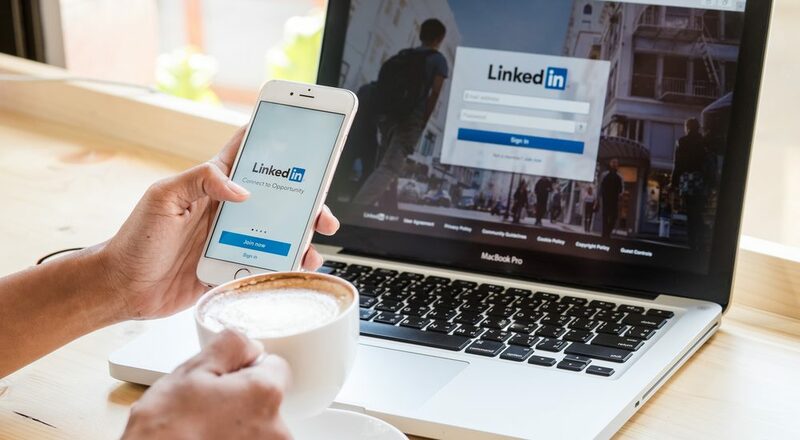 Of course, there’s no guarantee that a person who fits that profile will result in a good fit, but a personal LinkedIn page can at least give you an idea of where a candidate has been and what they’re like in a professional social context. Social media is always important for brand exposure, but on LinkedIn, your marketing efforts can be more overt and aggressive. Customers and clients who follow you on Instagram, Twitter and Facebook probably want to be entertained to a certain degree, but LinkedIn is its own special environment. It’s not so much about fun, so your posts don’t have to be as entertaining. That doesn’t mean you can and should be boring, but it does mean you can shape your messaging based on a more overt marketing strategy. There are several specific sales tools available on LinkedIn, some of which may cost you a bit extra. That investment often ends up paying for itself. Sales Navigator, for example, is a targeted lead-building tool that allows you to set specific search parameters as you comb through LinkedIn’s user database. You can target people in specific industries, with specific job titles and even within a particular company so you can really make the most of your lead-building efforts on LinkedIn. Social networking is an important part of staying one step ahead of the competition. LinkedIn is essential even if your business targets individual customers rather than offering B2B services. No business is an island, after all. You need to be able to make connections and really reach out to people where they are. LinkedIn offers yet another way to do this. If you’re feeling overwhelmed by all the social media options out there and the work it takes to really get the most out of these tools, get in touch with us now. We can help you manage your social marketing approach to produce the best-possible results from LinkedIn and beyond.